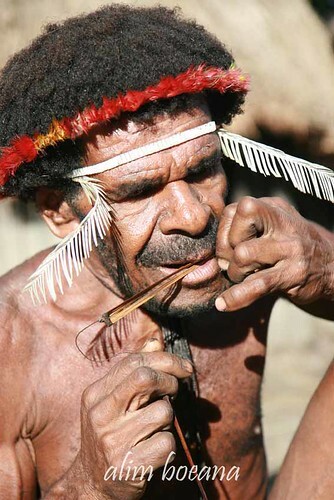 The Dani people, also spelled dani, and sometimes conflated with the Lani group to the west, are a people from the central highlands of Western New Guinea (the Indonesian province of Papua, comprising the larger Eastern part of the former province Irian Jaya). They are one of the most populous tribes in the highlands, and are found spread out through the highlands. The Dani are one of the most well-known ethnic groups in Papua, due to the relatively numerous tourists who visit the Baliem Valley area where they predominate. Bali Art Photography is a Bali based Photography Company build on 2007, the main need is make super image for or people who want have excellent photo shooting. As you see our in site, we also take photo for Fashion, Product, property and many more. Who sets the highest standard for artistic pictures in Bali. The teams, graduated from Photography Academy, have years of experience in Professional Photography, documentary Pictures and Films, Advertising Agency, TV Commercials, Film Production and many more. Bali Art Photography the perfect choice for your special moment in Bali. Bali Art Photography offers most creative photographers, ready to travel for destined weddings, honeymoon coverage, pre-wedding photos & private documentary. Bali Art Photography teams, shoot weddings in the candid and unobtrusive style, frequently called wedding photo journalism. With many innovations and motivated hard work, Bali Art Photography has become a Dream Team Photographer for any couples, who want not just a simply good wedding documentation, but an extra ordinary story-telling Wedding Memory.